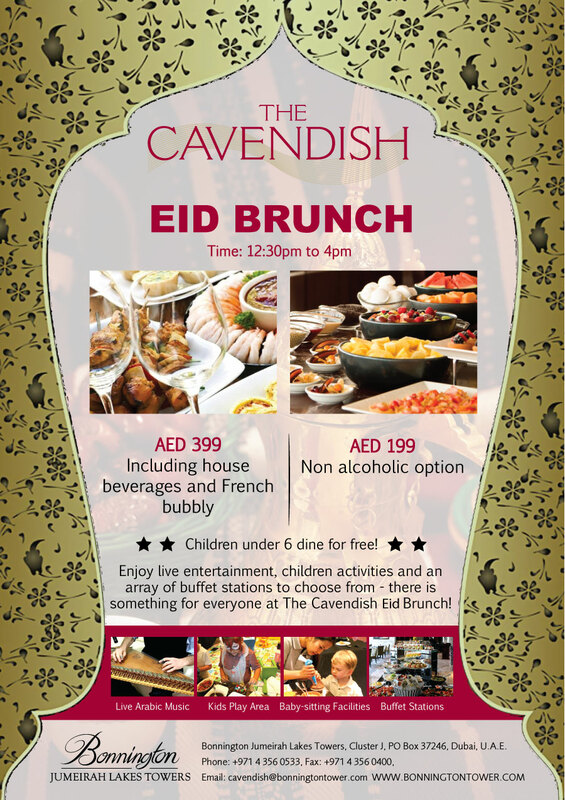 Our Eid Al Adha menu is available from Friday, 9th to Saturday, 17th September and is priced at AED 185, per person. For more details & to book, click here! 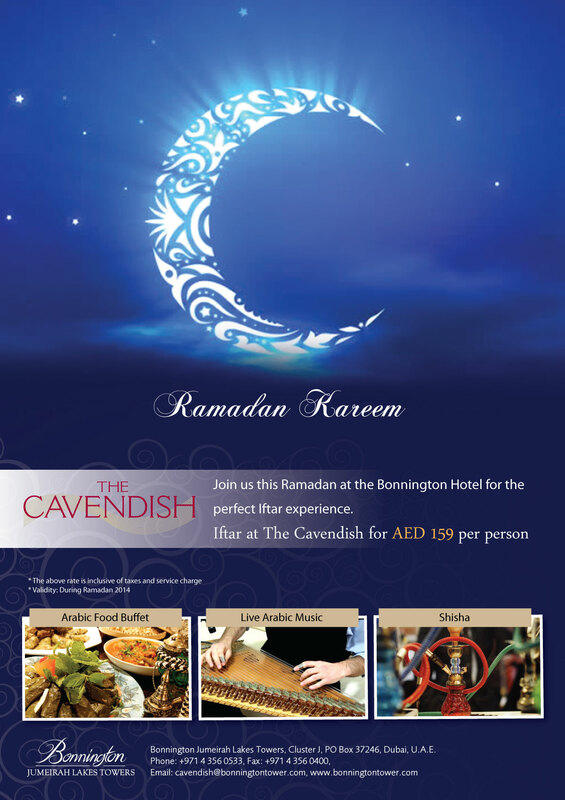 Ramadan Kareem to all our guests, associates, visitors, suppliers, neighbours, and friends! We hope you’re Ramadan has been going very well so far! 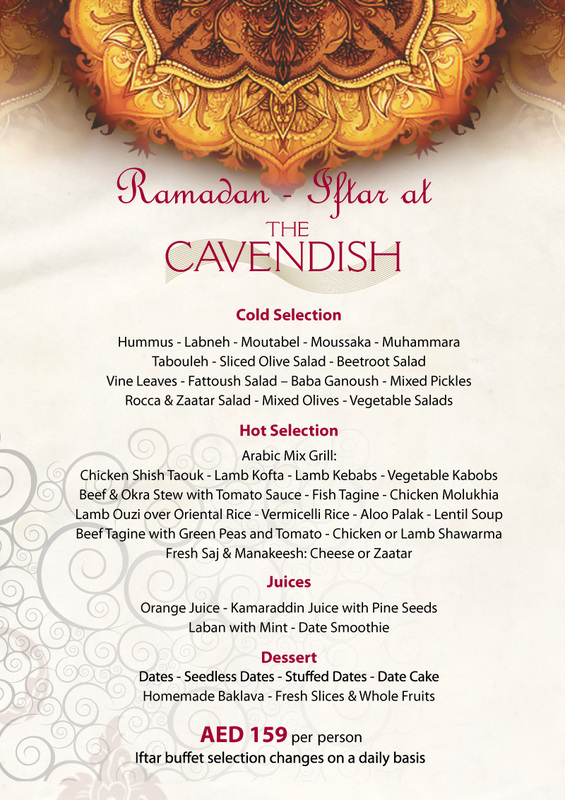 Don’t forget that our Cavendish Restaurant & Terrace hosts a daily iftar buffet, which features many Arabic delicacies, traditional sweets, and Iftar beverages. You can also enjoy hot and cold mezze, and meat and vegetarian grills. A live Oud player will accompany your iftar with traditional music. You can reserve your table by emailing us or simply call +971 4 3560533 for more information & bookings. Eid Al Adha Mubarak to all our guests, associates, visitors, and neighbours! We hope you’re enjoying your Eid in Dubai! How is your Ramadan going so far? Ramadan 2014 Mubarak to all our readers, guests, associates, visitors, neighbours, and friends! Afterwards, Healey’s Terrace is open for shisha, tea, and soft drinks.